Since launching DriveBC in 2005, BC HighwayCams have quickly become the website’s most popular resource for catching up to the minute road conditions. Their fast rising popularity demonstrated there’s a big desire to “know before you go,” whether you’re a commercial driver carrying an important load or a passenger with a checklist of roadside attractions. The Ministry of Transportation and Infrastructure listened to your feedback and responded by covering more ground. We’re still listening. For the next few weeks, we’re asking British Columbians where they’d like to see future BC HighwayCams installed. All you have to do is participate in a brief survey. After all, the webcam network continues to grow, and road safety improves along with it. A recent announcement of 30 more webcams coming this year will put the total number beyond 230. That’s steady growth of a program that started with a modest two-camera network keeping watch near Whistler and south-west of the Coquihalla Pass. So, how do we choose where to install webcams? There are five main factors we take into account when deciding where to plant a new eye in the sky. Where there are many vehicles, there is high demand for safety measures like BC HighwayCams. It only makes sense to focus on the roads that experience the most traffic; that way, we’re able to service a greater number of drivers per webcam. Commuters and commercial traffic drivers, for example, can monitor their “go-to” webcams regularly as a reliable source of traffic information. 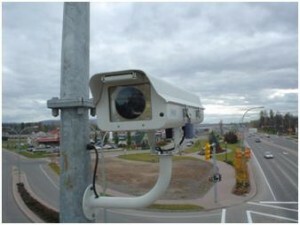 Locations that experience rapid weather changes, such as high pass areas like the Coquihalla, often demand more regular surveillance to notify drivers of incoming weather systems. More webcams covering greater ground capture incoming fog, sleet and snow as quickly as possible, helping drivers and maintenance crews react accordingly. Think of the BC HighwayCams network as a line of defence against unknown road conditions. The growing legion of webcams is meant to strengthen coverage and close gaps in the line, meaning routes or areas that have long distances between cameras are considered closely for new webcams. However, it’s important to keep in mind that webcams don’t work alone – they rely on adequate power sources, cellular communications and poles on which to perch. When choosing a webcam location, it’s preferable that these are already in place. We know that an open road is a welcomed sight for drivers, especially along popular routes at peak times. We also know drivers appreciate a heads up when roads are congested. By knowing about a congested area, drivers can make informed decisions like picking a different route or postponing their trip until traffic lightens, both of which make our roads safer. DriveBC and district staff receive many recommendations from local citizens and commercial drivers, and we make sure your requests are taken into account when planning new BC HighwayCam locations. 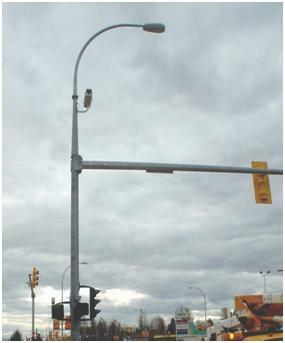 After all, the webcams are there as a tool to help you make informed decisions before hitting the highways. So, where do you want to see our next webcams? Tell us what you think by participating in our BC HighwayCam survey. We want to hear from you!